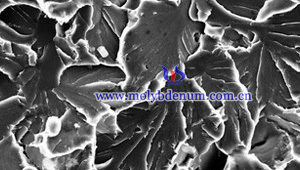 Molybdenum SEM pictures (scanning electron microscope) include molybdenum powder SEM picture, molybdenum fracture section SEM picture and TZM back-scattered electronic images of TZM alloys produced by arc-melting. 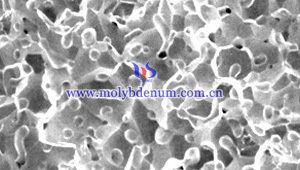 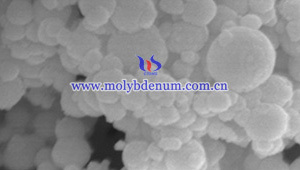 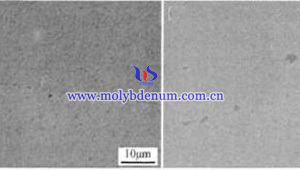 The left picture is nano molybdenum powder SEM, and the right is normal molybdenum powder SEM. 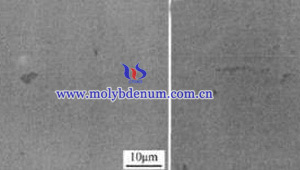 The left picture is molybdenum rod intergranular fracture SEM and the right is molybdenum alloy fracture SEM. 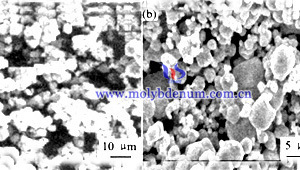 The above pictures are back-scattered electronic images of TZM alloys produced by arc-melting.